It’s been a long time since we last had Make Day and cook up some science experiments for the kids, so we decided to literally cook this time and explore the Science of Yeast. 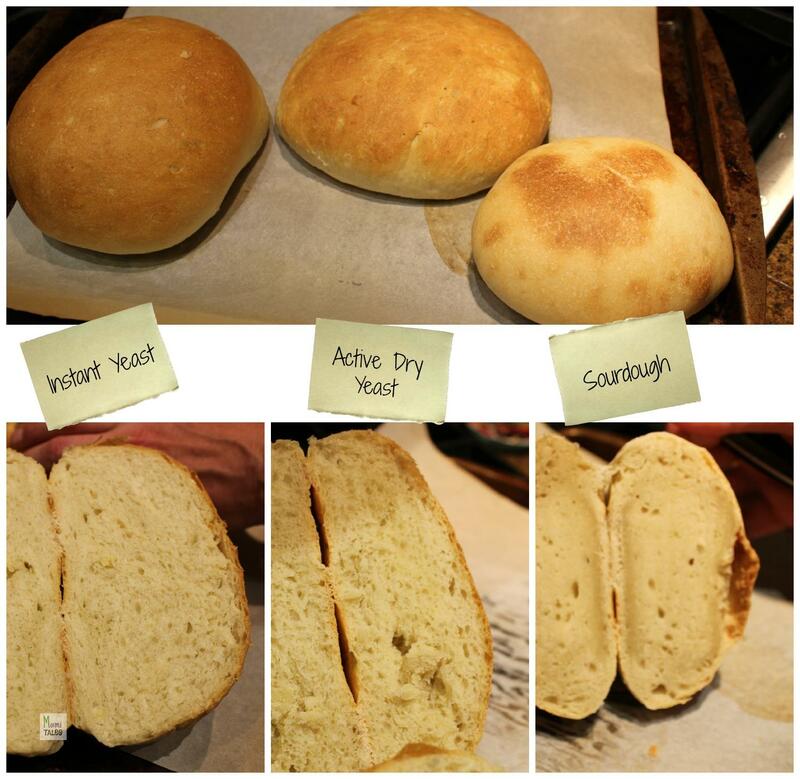 To do so, we planned to do the same bread recipe 3 times, just changing the type of yeast we would use and see what the differences in rising time, texture and flavor were. A different type of Yeast each time: Sourdough starter; Active dry Yeast; Instant (Rapid Rise) Yeast. For the sourdough, the started counted as half water-half flour. So we just added more water and flour to have the 240 ml/240 gr. 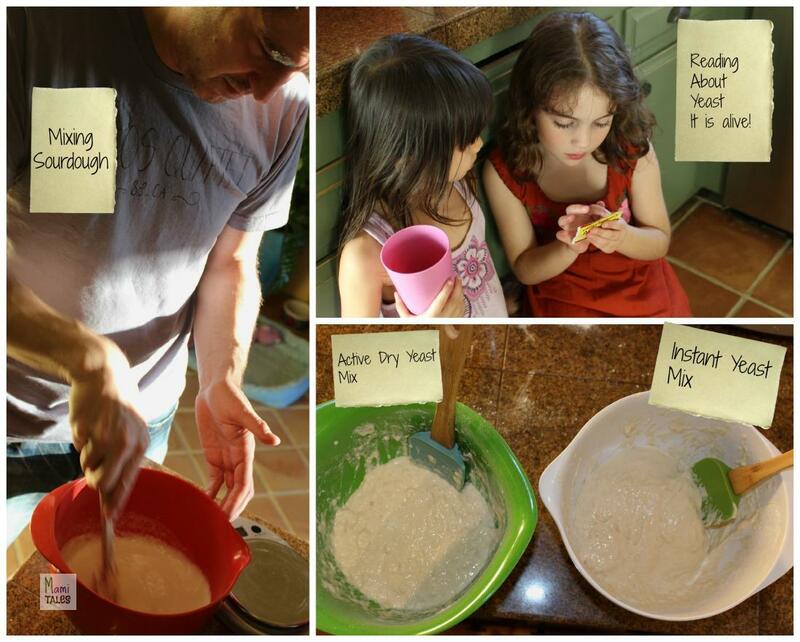 Once the water and flour were combined, we mixed the rest of the ingredients, then let rest covered in the bowl. For the Active Dry, we first combined the sugar with a couple of tablespoons of water with the yeast, to proof it. 5 minutes later, once the mixture had bubbled, we added the rest of the water and flour to have the 240 ml/240 gr. Once the mix was all well incorporated, we added the rest of the ingredients, then let it rest covered in the bowl. For the instant yeast, we combined the flour, sugar and the yeast, then added the water. Once the whole mixture was well incorporated, we added the rest of the ingredients. We let it rest for a little bit, then shaped into three little 65 gr rounds to place on the baking cups. The girls also read about the yeast, and found out that it is alive and needs to be fed in order to grow! Yeast is a microscopic fungus consisting of single oval cells that reproduce by budding, and are capable of converting sugar into alcohol and carbon dioxide. We took a drop of the Active Dry yeast to place under the microscope and see what it looked like — would we be able to see it move? Would we be able to see it grow? We could indeed see the yeast and some of it moving very clearly! We took some more samples of the sourdough and the instant rise to see how they looked like.. Here’s a link to the microscopic image gallery with pictures and videos. About an hour later we checked the first slide we took, and the entire sample was bursting with yeast that didn’t even have any more space to grow. Back in the kitchen, we did separate 65 gr balls of the Active Dry and Sourdough mix as well, to rise on the baking cups. The texture of all three mixes was very different. The Instant yeast was very springy and soft to the texture, very easy to work with. The Active Dry was a little stickier. The sourdough was very sticky and hard to work with. We waited for a long time, but the sourdough never rose at the same height as the rapid rise and the instant yeast. We also made the rest of the dough into three round boules. The muffin cups we baked at 425ºF for 13 minutes. The boules we left in there for 30. Once baked, the rapid rise and the Active Dry rose pretty much the same. However, the taste was very different. The Instant yeast was sweeter than the rest. It also had the spongiest texture. Active dry had a saltier taste. It did have a spongy texture, but a little heavier than the instant yeast. The sourdough had a very good flavor, but the texture was thick and almost uncooked. The girls were very happy eating the bread, but as the rising takes such a long time, by the end of the experiment that had pretty much lost interest. I guess that to have this be a hit with smaller kids, you have to start doing the bread a lot earlier! 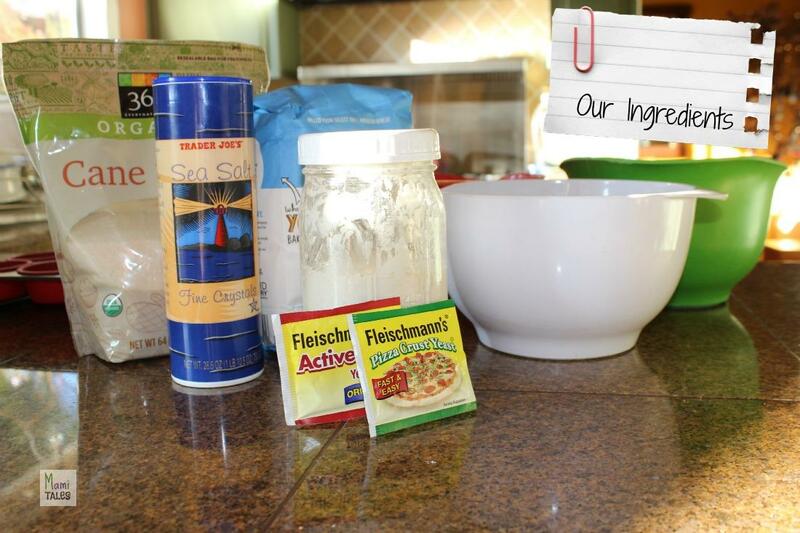 Tagged Baking and Cooking, Cooking with Children, Inspiration for Kids, Science for kids. Please invite me to be your taste tester for the sourdough! That is my all-time favorite bread! You’re welcome to come! Sourdough is hard. I was doing some serious experimenting with it while I was pregnant with N. 2, when I got diagnosed with GD and had to put my experiments on hold. I have to catch up!! And we do these experiments with another couple friends of ours and their daughter, so the guy in the picture is a very dear friend, not my hubby 😉 He was too busy playing the guitar and wrangling our toddler. I think us, both my friend and I , had a lot more fun at looking at the microscope, truth be told! 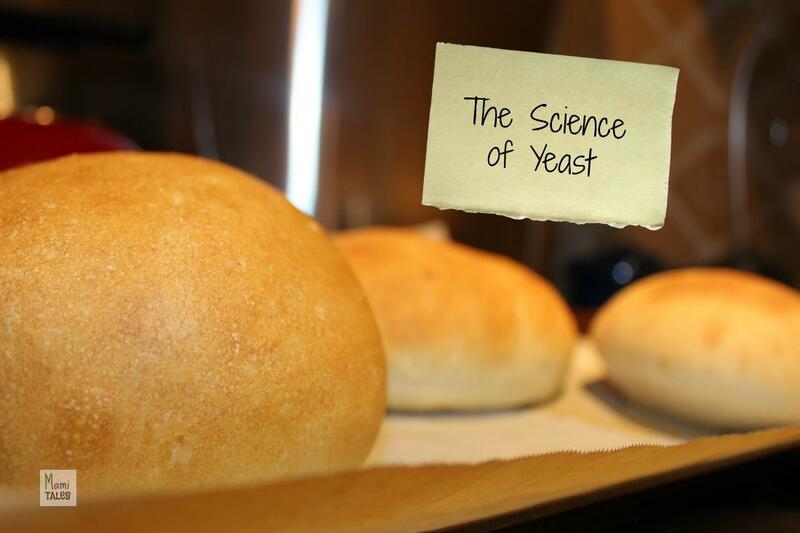 Yeast is a mysterious substance, ha (: I’m still not sure how it magically makes things grow. It truly is fascinating. 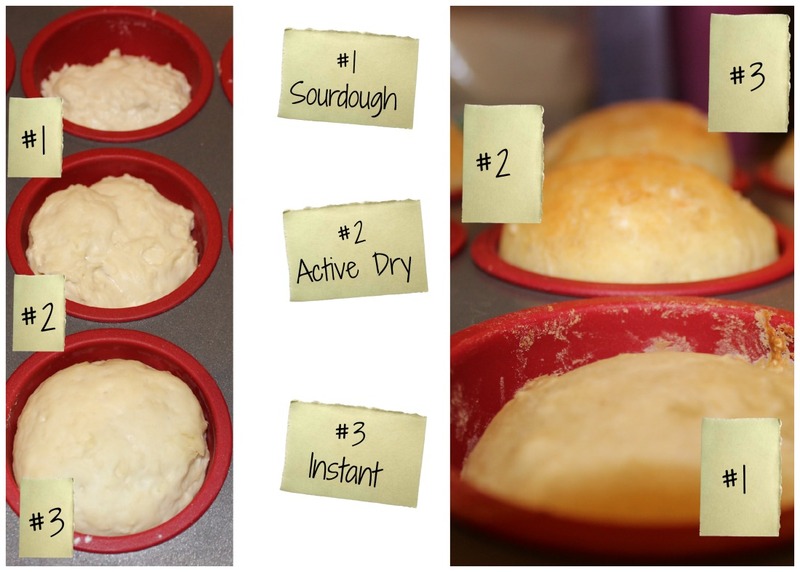 The yeast eats the sugar and grows, making air pockets in the dough… As the gluten makes the dough a very elastic substance, then the growth expands and makes the bread light and airy– as in full of air. Thanks for stopping by! What a great project! Those kids will never forget learning about yeast! Thank you for partying with us at Inspire Me Mondays. We look forward to seeing you around at the next Link-Up. Have a great weekend! Thanks for visiting, Bridget! You should see the image and video gallery too. The kids comments are hillarious. See u next Monday! what do you mean by add the rest of the ingredients on paragraphs about making active dry and instant? Hi! I meant that after adding all the water and flour to the proofed yeast, then you can add the salt and the olive oil — those would be the rest of the ingredients. Hope that is a bit more clear!